Zachary Lieberman is an American artist and computer programmer. His work uses technology in a playful way to break down the fragile boundary between the visible and the invisible. His art work focuses around computer graphics, human-computer interaction, and computer vision. Lieberman's work has appeared in numerous exhibitions around the world, including Ars Electronica, Futuresonic, CeBIT, and the Off Festival. 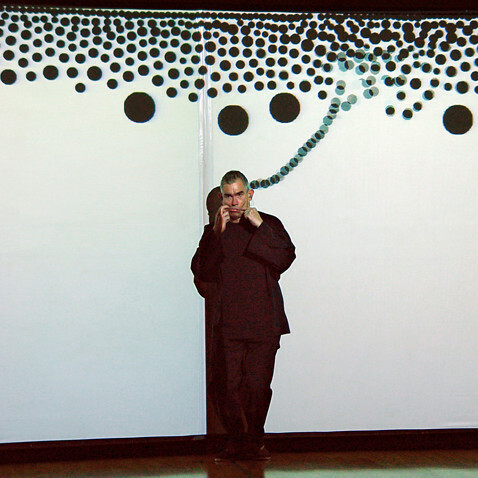 He has collaborated with artist Golan Levin on interactive audiovisual projects like ""Messa Di Voce"", and worked with Theo Watson to create openFrameworks, an open source C++ library for creative coding and graphics. Lieberman has held residencies at Ars Electronica Futurelab, Eyebeam, Dance Theater Workshop, and the Hangar Center for the Arts in Barcelona. Lieberman holds a BA in Fine Arts from Hunter College and an MFA in Design and Technology from Parsons School of Design, where he now teaches classes on artistic uses of computation."